Reg: $2,474.00 You save $200.00! Reg: $959.00 You save $58.00! Reg: $2,599.00 You save $520.00! Reg: $2,374.00 You save $237.00! Reg: $2,674.00 You save $267.00! 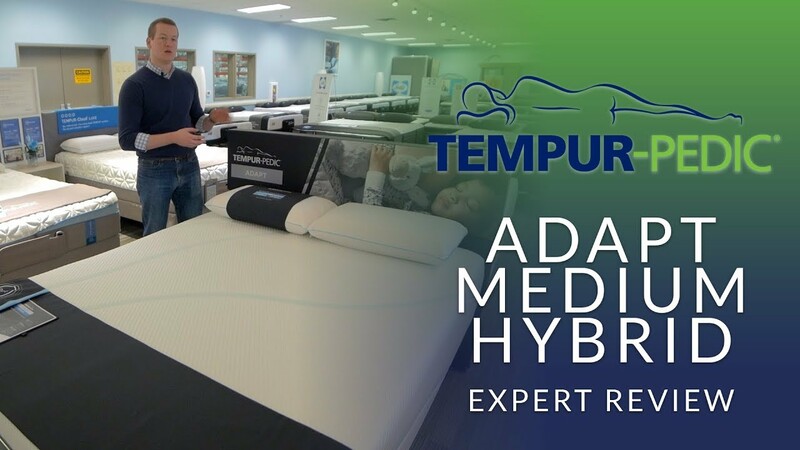 The Tempurpedic Adapt Medium Hybrid mattress offers the conforming pressure relief Tempur material, with the support of a premium innerspring system, resulting in the best of the support and comfort worlds. With a comfort scale rating of 5.5, the Tempur Adapt Medium Hybrid falls right in the center, between firm and soft. This mattress is highly adaptable to back, side, and stomach sleepers. If you're looking for something that's going to provide just the right amount of pressure relief and support, this is a great way to go. Premium Coils contour to your body while providing solid support to the lower back. Using individually wrapped technology, this system is adjustable base friendly, and helps reduce motion transfer when movement occurs, for undisturbed sleep. Crafted from ultra-high molecular weight yarn, the quilt provides cool to the touch comfort to help you sleep thermal neutral. Pressure Relief to help reduce tossing and turning, is a halmark of Tempurpedic, and the Adapt Medium Hybrid is no exception. Soft yet substantial TEMPUR-ES material conforms to the body, to help reduce tossing and turning. With a near perfect blend of softness and support, the Tempurpedic Adapt Medium Hybrid mattress is good for just about everybody. Comfort This describes how a mattress feels. The Comfort Scale rating is based on how the cushioning materials conform to the body's shape. The higher the number the softer the mattress. Quilt - Top of Mattress This is the outside cover on the top of the mattress. It covers and protects the comfort and support layers inside. Comfort - Padding Layers This provides a cushioning layer between you and the support system in the bed. Different kinds of padding will provide different levels of comfort. Correct Back Support System This is a general term used to describe how a mattress distributes and stabilizes body weight and maintains proper spinal alignment. Different materials provide different levels of support. Warranty This tells you what kind of warranty you have and how long it will last. 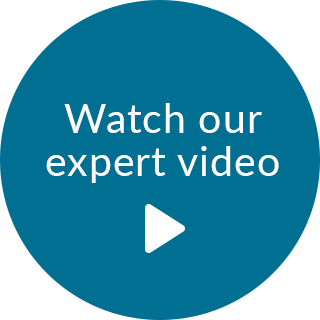 A typical warranty lasts about 10 years. Made In This tells you where your mattress is manufactured. King 11" 76" 80" 152 lbs. Cal King 11" 72" 84" 152 lbs. Queen 11" 60" 80" 116 lbs. Full 11" 53" 75" 97 lbs. Twin 11" 38" 75" 69 lbs. Twin XL 11" 38" 80" 72 lbs. Split Cal King 11" 36" 42" 74 lbs. Your mattress purchase is fully compatible with all modern support systems, including adjustable base, platform bed, box spring/foundation, even the floor! Try your mattress in the comfort of your own home for 120 days, risk free. Just sleep on it for at least 30 nights so that your body can adjust to the new support system and if you are not completely satisfied, let us know. We'll give you 100% of your money back, stress free. No shipping charges, fees or worries! 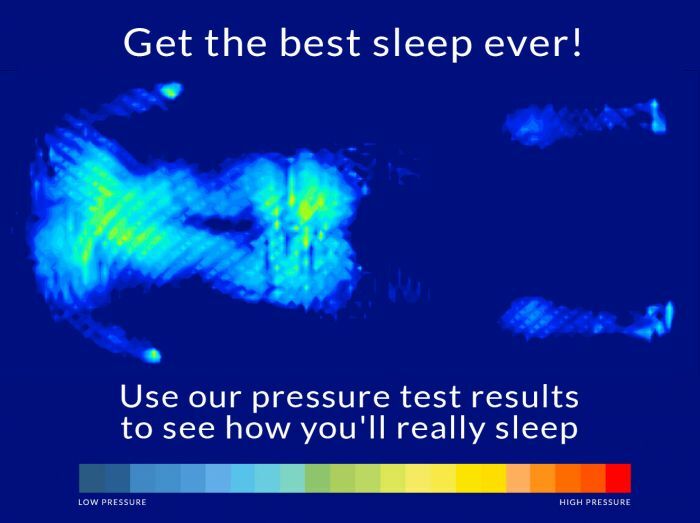 We test and measure body pressure on each mattress using sophisticated technology. We then provide you a personal recommendation. See how far you'll sink into our mattresses - see how they'll feel. With our Comfort Depth measurements you'll know how a mattress will feel. A sturdy adjustable base puts you in control of your sleep setup. The perfect pillow creates the ideal balance of softness and support. Keep your mattress safe from stains, water, and changing temperatures. TIMING & DELIVERY: From time of order, receive your mattress in about 2 to 3 weeks anywhere in the continental 48 states. Check your zip code when selecting your delivery option for an estimated delivery date.Remote locations may take an additional 1 to 2 weeks. SCHEDULING DELIVERY: You will be called to arrange the delivery when your mattress has arrived at the local delivery agent, approximately two weeks after order. Someone must be home to accept delivery. FURNITURE & BEDDING: Furniture ordered at the same time will ship separately. If you would like us to wait until all the items on your order are ready to ship, please call us at time of order and we can arrange one delivery. Bedding ships separately via UPS. my Wife and Me are very satisfied, I will truly recommended to all my friends, excellent product. Great product and high quality. Mattress is great and doesn’t sleep warm! WOW! I've heard conflicting reviews about the Tempur-Pedic, but my lower back pain had me considering many options. I then recalled a chiropractor years ago who mentioned that Tempur-Pedic was the best mattress for spine alignment. That being said, I went with the Adapt Hybrid, and ... WOW ... I've been experiencing the best, pain-free sleep ever. I can't believe that I waited so long to purchase a Tempur-Pedic. Don't be fooled by all of the mattresses in a box. You can't beat the Tempur-Pedic Adapt for comfort at a reasonable price. We purchased our medium hybrid almost 3 months ago now and we love it! It did take about a week to get used to but now it's my favorite thing in our apartment. The hybrid is a good transition between a spring mattress and completely memory foam. Highly recommend, you won't be disappointed! We just came back from a vacation too and our bed at home is now more comfortable than a bed at a 4 star hotel. This is a great mattress. So comfortable. This mattress has so many great qualities, where do I start? The support that it gives is amazing! I was having awful back and shoulder pain with my previous mattress and that is absolutely no longer a problem. You cannot feel your partner moving around in the middle of the night so you do not get disturbed by them. Although the prices are high they are undoubtedly worth every penny!! So comfortable I look forward to going to bed every day, wake up refreshed and rested! After using this product for 3 months and suffering from 5 herniated discs in my back this is been the greatest sleep I've ever had in years. Too hard and the smell is still strong after two months! Exchanging it for a different model. Wish me luck with waking up without a stiff back! We are really enjoying our new mattress and bed frame. The adjustable frame is awesome, and at first I thought I'd never use the silly vibration part but now I'm singing a different toon, after a long day, it just rocks you to sleep! Everyone who comes to visit gets dragged into our room to give the new bed a try, I think we've already created some new customers! The only cons I have are the base is very very heavy if you have to move it, and the mattress topper is very slippery and I have a hard time getting the mattress cover to fit and stay, I realize it has one "built in" so to speak but with dogs , grandchildren and life in general I feel more confidant with one I can get on and off easily! This is the first Tempurpedic mattress I've purchased and I'm glad to say it exceeded my very high expectations! It's soft but very supportive- great for relieving back pain. My only complaint is the super smooth feel of the mattress cover causes sheets to slip around. I had to buy fitted sheets with corner loops to help hold them in place. We love our new mattress and literally get the best sleep we've had in years! I tried this mattress in the store and it was the one we liked the most. I ordered it online because I could get it sooner and it came with $300 credit toward sheets, which I also bought. I love the sheets, they're really soft after washing. But the mattress just doesn't seem right for us. We wake up with neck and back pain. Its only been a week and a half, so I'm hoping that we are still breaking it in because they said it could take up to a month to properly break in a mattress. This was the first Tempurpedic I've owned. White glove delivery was easy and prompt. It is an incredibly comfortable king mattress. Would buy again. 10 stars out of 5. This mattress has changed so much for not just me but my husband. Before, he would wake up in the middle of the night constantly to toss and turn; but now, he sleeps like a rock. We both have chronic back pain and now we don't cringe with pain when we wake up. Unbelievable! We loved it so much I recommended it to my parents. Needless to say, my dad is no longer complaining about his bed giving him backaches. This is our 2nd Tempurpedic mattress. It was the first purchase for our 2nd home in CA with our daughter. We have a Tempurpedic in MN and love it! Now we get a good night's sleep in both homes. A very solid, comfortable quality in a mattress that I need for my body that has arthritis. When I wake up I feel refreshed, and content through out the day. Two thumbs up for the Tempur-Pedic Adapt Hybrid! OMG! OMG! I've heard of a few love-hate relationships with owners of Tempur-Pedic mattresses over the years, but I'm here to tell my story. As a new owner of the Adapt Hybrid I'm sold! This is the most comfortable mattress that I've ever owned, and I've owned a few over my lifetime. Furthermore, it's affordable! Thank you Tempur-Pedic for providing your customers with an unbelievable sleeping experience. We thought this bed was a great buy and were excited to have it however I soon realized I was getting too warm when I wake up and need to move to a cooler place on the mattress. It was like the heat gets trapped. My husband on the other hand really enjoyed it at first but the longer we have had it, the more achy he has become and frequently has been waking up. We are both side sleepers and we think we need a softer bed also. This hybrid having 1/2 spring facilitates love making better than 100% foam but due to the aches and heat, we are considering a trade in for a traditional spring mattress. I bought the Adapt Medium Hybrid hoping that it would be the perfect mattress; however, the mattress just doesn't provide me with enough pressure-relief for my shoulders and hips. I like the firmness of the top of the mattress, however, once you sink down into the mattress, it just becomes too firm. Also, once you put on the waterproof mattress protector, it loses some of its cooling properties. This mattress is terrible. It is way too soft. I wouldn't call this a medium firmness. I sink in to the mattress and if my husband lays next to me, I am falling in to the dent he makes, and he is not a big guy. Every day I wake up feeling like I got hit by a bus. I wish I could return it buy the 90 day window closed unfortunately. I will never buy another Tempurpedic. I wasted a lot of money on a subpar mattress. I really didn't realize how bad my other mattress was until my Tempurpedic. I sleep more soundly & am so comfortable. Very comfortable. It envelopes your body in total comfort. The mattress is very firm, and yet feels like heaven when you lay on it. Top quality. The only down side is the weight of the mattress. Makes it difficult to change the sheets. I will recommend this product to others. I am so unhappy with how hot this mattress is; it has a cooling topper/cover on it that is only "cool" for about 20 minutes; I wake up 5x per night from being too hot; I move to a cool spot, fall back asleep and within 1-1/2 hours I am awake from being too warm. I have not slept a whole night since getting this Tempur-Adapt Hybrid. I am exhausted. I have owned it now for 3 weeks. So so disappointed. Lots of back pain and shoulder pain for an expensive mattress. We purchased the Tempur-Pedic Adapt medium hybrid mattress around a month ago. We had a memory foam mattress prior to this one, but it has taken us about a month to adjust to this one. Even though it was labeled a medium, it felt softer when we got it home than it did in the store. After a little while, it seemed to be a little firmer, which was what we wanted. We also purchased an Ergo base and I would definitely suggest getting one! We love being able to adjust the head and feet of the mattress. But, by far our favorite part is the massage option. We look forward to it every night! Even our cats enjoy it! I would definitley recommend this mattress and base. The only reason I gave it 4 stars was because it took us so long to get used to it. If you're on the fence, try it out! Tempur-Pedic has a wonderful guarantee. We bought the new Adapt Hybrid king size and now know what a good night sleep is. This is the best bed ever. We got the Hybrid Queen. We had the original Tempur Mattresses for 15 years. The new Tempur- Adapt is well improved. We got a queen size Adapt Medium Hybrid mattress and foundation. It's so comfortable! I had a hard time finding a mattress that works for me (I like medium soft) and my spouse (who likes medium firm). This mattress has us both happy. We sleep on our backs, sides, and stomachs and have had a really hard time finding the right mattress. You slightly sink into the top layer and can feel the mattress cradle your whole body...right down to your feet. It has a little bit of "give" overall...I think because of the coils in our hybrid version. To me, it has a plusher feeling than the all foam version. My spouse has had two back surgeries...in the lumbar and cervical areas and is happy with the level of support in this mattress. We didn't want to get out of bed this am. (I also appreciate that it's cool to the touch.) We're thankful we found this mattress. We love this mattress! We had the original classic 12 years and it was nice, but this hybrid takes the cake-it's just enough firm and soft mix to be the best night's sleep we've gotten in a while! Who wants to get out of bed! This has been the best mattress ever for me! I was having hip and back pain with my old mattress. I was afraid when I got the new mattress that it would take a while for me to get used to it, but I immediately slept better and don't have the hip and back pain I was having! It's very comfortable. At first it feels "soft" as you sink into it but once you get past the memory foam in the top and get to the coils, it feels more firm. It's the perfect combination for me. So far, I haven't found anything I don't love about it except that I have to get up in the morning and go to work and can't stay in bed! Disappointed in the comfort. It feels too hard.